Posted on December 30, 2015 December 30, 2015 in geek, me, reviews. We’ve play games like Lords of War, 6nimmt!, Carcassone, Coup, 7 Wonders, Dead of Winter, Android: Netrunner, Between Two Cities, and Discworld: Ankh Morpork. In other words: no Monopoly, just fun new table based explosions of co-operation and competition. 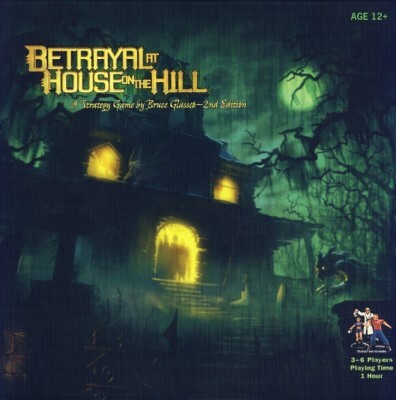 Betrayal at House on the Hill is a tile based game where you explore the three floors of a house with your companions. The tiles are random, and only appear as you walk through a doorway from a previous tile, so there’s a nearly limitless range of possibilities for the layout of the house. The premise of the game? You explore the house together until, at some unpredictable point, something horrible happens. At that point, one of you is sent out of the room with a page of new rules to read, and the remaining explorers have some other rules to absorb. 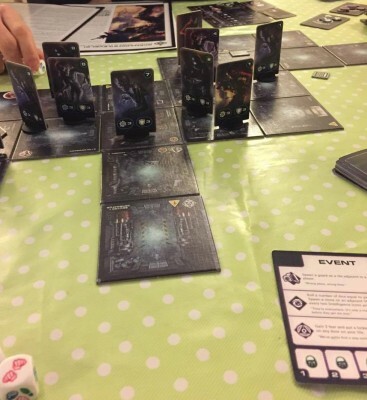 Suddenly, the game gains a combative game, with one player trying to bring an evil ghost to life, or summon a monster, or releasing a swarm of vampire bats (no spoilers)… and everyone else trying to stop them. The re-playability is great, since every mansion will be totally different, and there are 50 unique scenarios, decided by where and how the horror is triggered. 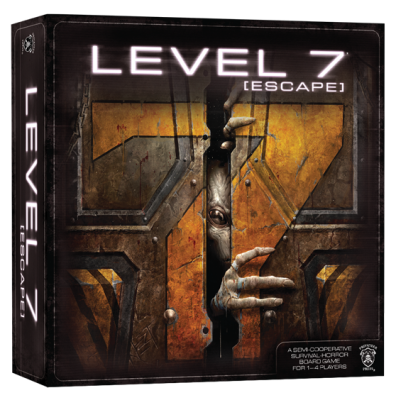 Level 7: [Escape] is one of my favourite games, and I’m always keen to sneak it out of the cupboard. Again, there’s no board, just a steadily expanding map as you panic your way around the level, picking up new room tiles. 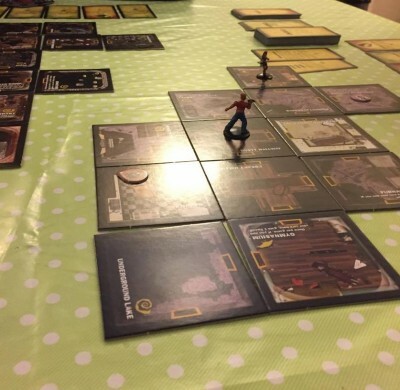 Cursed with a slightly complex rulebook, its strength lies in its theme – you are attempting to escape a crazy Government laboratory, hiding from the guards and aliens, occasionally attempting to use them against one another to held you escape. Your abilities are shaped by your Adrenaline level. Feeling calm and collected? Your intelligence increases. Heart racing and agitated? Your strength jumps up. The only downside… you run out of adrenaline card, you die. Too much adrenaline? The aliens get super attracted to you and start spawning all over the place. 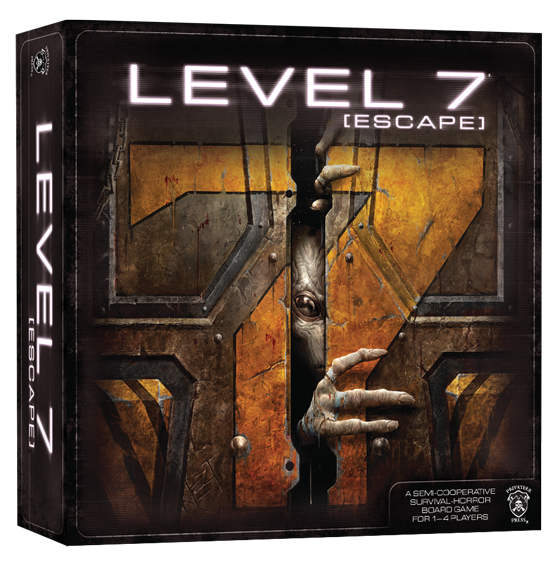 Each mission steadily unfolds, but there comes a crunch point: Lockdown kicks in, leaving you a set number of turns to escape before the doors are sealed… forever! Our mission involved setting the aliens on the guards, opening a route for us to reach the elevator. 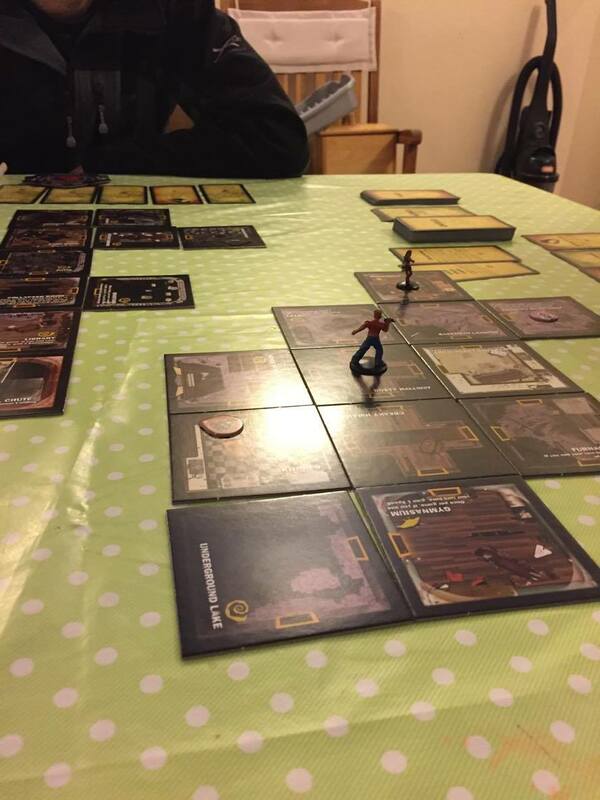 Our plan was beset by problems immediately, when a clone attacked James on his first turn, and knocked me out on mine. Eventually, the aliens did kill all the guards… but then James and myself found ourselves trapped and pulverised by a huge Hybrid. Despite it being a stalwart of the gaming scene for several years, I’ve never managed to find myself at a table with Coup, so I was happy that James brought it. A microgame, lasting just a few minutes per round, your aim is to knock out the other players. Each player gets two cards representing characters in the royal court, such as Duke, or Ambassador. Each had different skill, but the key? You don’t know what cards someone has. So a player with the Captain can say “I’m going to take your money now”, and you have three options. Lose the money, say “I don’t think you have the Captain”, or pretend to have a cards that lets you block the theft. 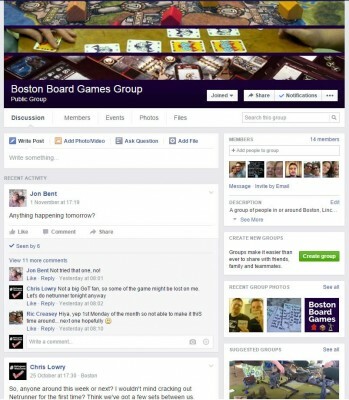 Posted in geek, me, reviews.Tagged Betrayal at House on the Hill, boston board games, coup, fun times, Level 7. Posted to facebook: Another quick write up of some of the fun yesterday, with James Russell and Jamie Cox. Jamie is roughly 13% trustworthy. 13%. Woohoo I’m more trustworthy!! That bloomin’ decimal place! Always going missing. 1.3% seem more appropriate? Sounds like a good time. When you looking at arranging another?